The Mechanix Wear Original has reinvented hand protection with versatile design and multipurpose appeal with military, combat engineers & mechanics, tactical firearm and law enforcement users. Features include durable synthetic leather palm construction which extends the life of the glove and two-way stretch Spandex which forms a second-skin providing unmatched comfort, fit, feel and functionality so you can focus on more important issues. Also features adjustable wrist closure for a secure fit. Machine washable. Size: S, M, L, XL & XXL. 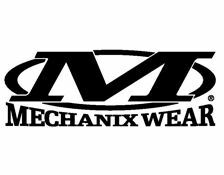 For Mechanix sizing info click the Mechanix logo below. Colour: Multicam.